You are currently browsing the Guidance for Growing blog archives for June, 2015. Beets are a staple veggie at the farm, making an appearance both at the beginning & end of the season each year. 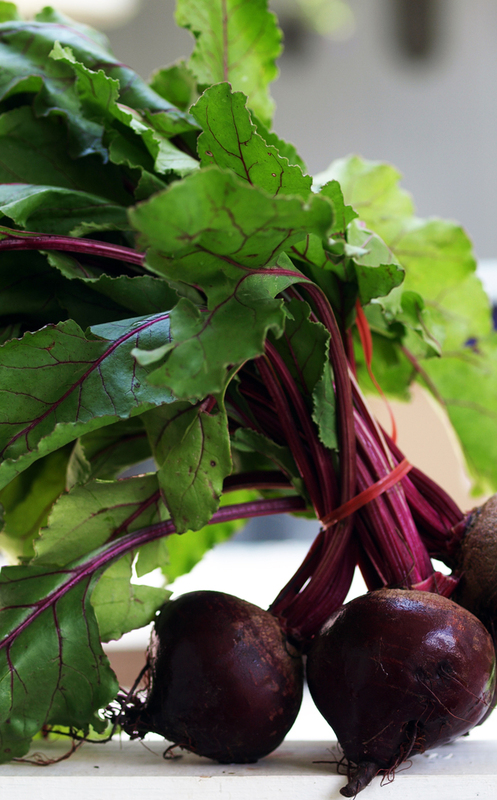 Like many root vegetables, beets have lots of vitamins & minerals — & should not be peeled in order to access the most nutrition. They’re also really easy to include in your snack & meals, as they taste great both raw & cooked. Click here to read Mikaela’s post all about beet nutrition & preparation ideas, including a recipe for Roasted Beets & Kohlrabi with Fennel. >> Mikaela & Jason have been members of Blooming Glen Farm’s CSA program since its first season in 2006. Farmers Tom Murtha & Tricia Borneman & their dedicated crew grow over 75 different varieties of vegetables, fruits, flowers, & herbs, which are available through the CSA, to restaurants & natural food stores, & at seasonal farmers’ markets. From Cuban black beans with yellow rice to Indian ramjah (kidney beans) with basmati rice, rice and beans is a classic, versatile dish that’s found throughout most cultures around the globe. Rice and beans are hearty, inexpensive, and super adaptable, making them a worthwhile addition to anyone’s kitchen repertoire. The key to making this not only a belly-filling meal, but also a nourishing and nutritious one is using whole grains and loading up on veggies. 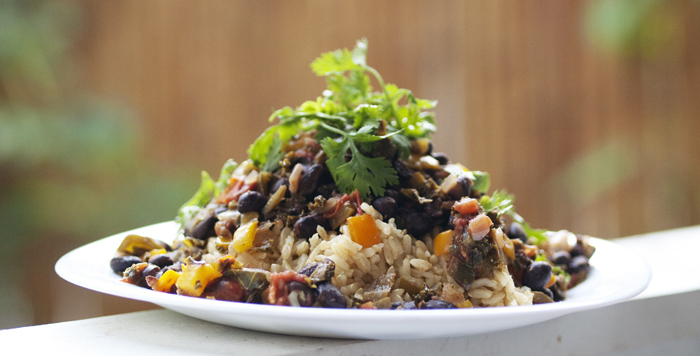 Click here to get the recipe for Mikaela’s Rice and Beans, which takes full advantage of the season’s awesome bounty of peppers and greens! >> Mikaela and Jason have been members of Blooming Glen Farm’s CSA program since its first season in 2006. Farmers Tom Murtha and Tricia Borneman and their dedicated crew grow over 75 different varieties of vegetables, fruits, flowers and herbs, which are available through the CSA, to restaurants and natural food stores, and at seasonal farmers’ markets.